1.2 Till the end of Dvapar yug (era), Sanskrit was the only language of the entire universe ! 3. Sanskrit language rich with various names for each animal, object and God ! 5. Not even a single inclusion of abusive word in well-cultured Sanskrit language ! Sanskrut, a divine language, has elucidated to the mankind the great path of acquiring God. However, the ungrateful humans, especially the various rulers from the post-independence era are striving hard to eradicate this divine language. The comman man is unable to percieve the serious consequences of their actions. 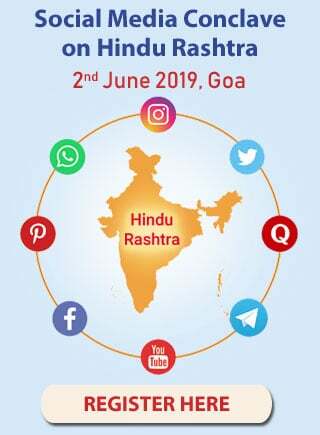 Sanskrut language has been created by God for the benefit of entire human race and our future generation should not think that because of our negligence we allowed Sanskrut language to die. Therefore it is imperative that we should undertake the gigantic task of propogating Sanskrut language in the society at a very broad scale, and consider it as our prime duty. 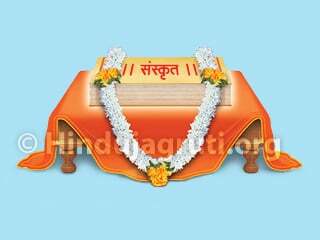 We pray to Shri Guru‘s feet that after reading this information human beings, especially the Hindus, would understand the significance of this divine language and atleast for the sake of their own benefit, would make an effort to reinstate it. ‘While describing the steps of creation of Sanskrit language, few people with western influence say that, ‘At first humans realized that ‘sound is emitted from their mouth’. The sounds got transformed into signs, signs into symbols and symbols into letters. The list of alphabets, nouns for various objects got in turn created and even as a result, the Sanskrit language was also formed.’ In fact all of this is false. Sanskrit was created through the resolve of God. After the creation of human beings, God Himself provided everything that was necessary for humans. Not only that, God made arrangements for everything that would be needed by human beings in the course of time. Even before creating the universe, God created a divine language that would be useful for human beings for attaining final liberation (moksha). This divine language is Sanskrit. In the Treta yug (era), human beings lost their capability to absorb knowledge that was beyond words. Therefore, in order to enable embodied souls to attain final liberation (moksha) through the medium of words, Lord Datta re-created Sanskrit language. Post Kaurav-Pandav Mahabharat war, Vaidik i.e. 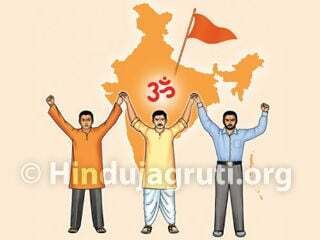 universal empire of Hindus began shrinking slowly and consequently the Sanskrit language too got disintegrated and through its various imperfect regional pronounciations, other languages got created. This is the reason that one can come across lot of words, in other languages like English, which are similar to Sanskrit language. For e.g., in Sanskrit cow is called as “Gow“. Also in Sanskrut tooth is called a “danta“. ‘In Sanskrit language there was a custom of giving multiple names to animals, objects etc. E.g. Ox has more than 60 names like balad, vrushabh, gonath etc. ; elephant has more than 100 names like gaja, kunjar, hastin, dantin, vaaran etc. ; lion has more than 80 names like vanaraj, kesarin, mrugendra, shardul; water has synonyms like jala, jivan, udak, paya, toya, aap; gold has synonyms like swarna, kanchan, hem, kanak, hiranya, etc’. Many people have memorized 12 names of Sun deity, 1000 names of Lord Vishnu and 1000 names of Lord Ganesh. Each of these Names does carry a special characteristic of the particular deity. abusive word in well-cultured Sanskrit language ! ‘Devwani Sanskrut Vaishishtye Va Sanskrutla Vachavnyasathi Upay’.